This week the Victorian Government announced an additional $2 million in funding for the third round of the Wine Growth Fund at Mitchell Harris Wine Bar in Ballarat. The fund aims to support winemakers and grape growers in marketing, tourism, business development and exporting activities, while also building the capability of Victoria's highly regarded wine industry. 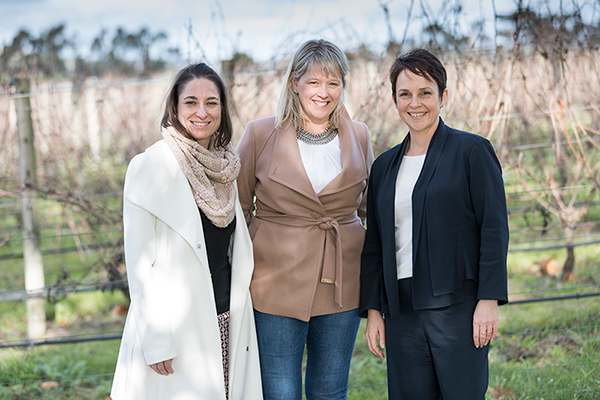 Wine Victoria Executive Officer Ms Rachael Sweeney said the industry was pleased the Victorian Government and Minister for Agriculture and Regional Development the Hon Jaala Pulford, in particular, had once again recognised the benefits of investing in Victorian grape growers and winemakers. "The Wine Growth Fund clearly signifies the government's recognition of the $7.6 billion contribution that our industry makes to Victoria's bottom line every year," Ms Sweeney said. "We thank the government for their continued support and commitment and encourage our producers to use the fund to raise the profile of our wine tourism and export capacity and to ensure Victoria becomes the best wine state in Australia" added Ms Sweeney. Existing Wine Growth Fund guidelines have been changed, with infrastructure projects now eligible for funding and grants of up to $100,000 now available. Applications are open to organisations or businesses from all Victorian wine regions directly involved in the Victorian wine industry.